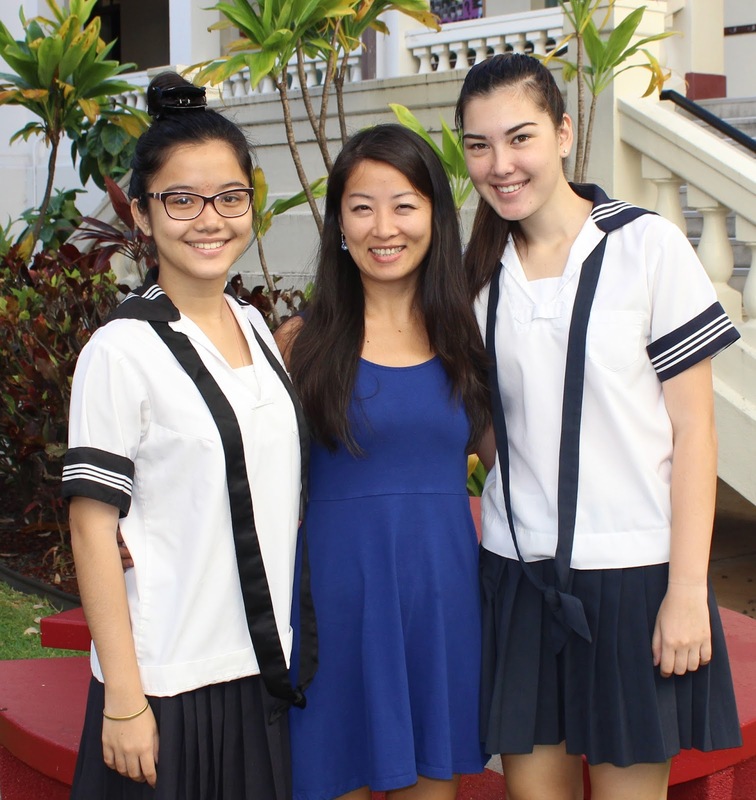 After a highly competitive selection process, Sacred Hearts Academy congratulates Victoria Lee, '15 and Theresa Ginter, '16 as recipients of 2015-2016 NSLI for Youth Scholarship Award for the Summer Chinese in China program. Applicants have to provide their official school grade transcript, teacher recommendations, language assessments, essays, and go through interviews conducted by NSLI-Y. Victoria Lee, '15 is in AP Chinese class and Theresa Ginter, '16 is in Chinese III class this school year. This Summer, they will travel to and study in China for 6- 8 weeks with all expenses paid! It will take place in five cities: Changchun, Nanjing, Suzhou, Hangzhou, and Xi’an, China. They will be assigned to one of the cities and homestay with a local Chinese family.